This handy sample kit allows you to see and feel the quality of our envelopes and printing and addressing services in person. Each kit comes with a coupon for your order and ships for free (United States only). 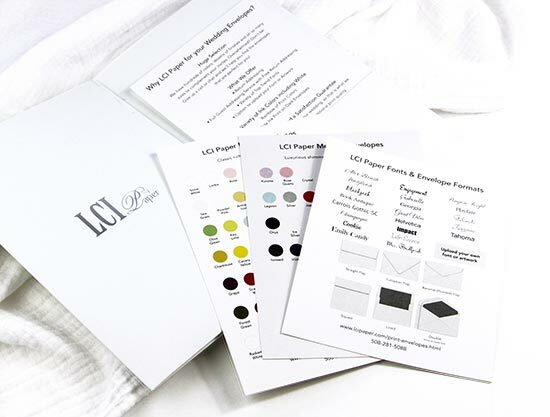 Starting with the most important, each sampler includes a variety of printed and addressed envelope samples. Actual colors and finishes may vary. As seasons and trends change, so do the envelopes in this sampler. 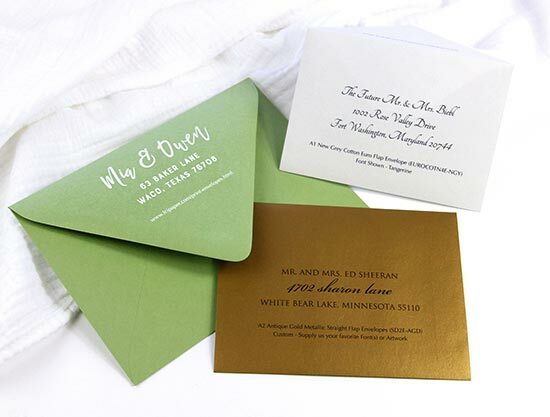 It doesn't stop there... this sampler allows you to check out our card printing services too! 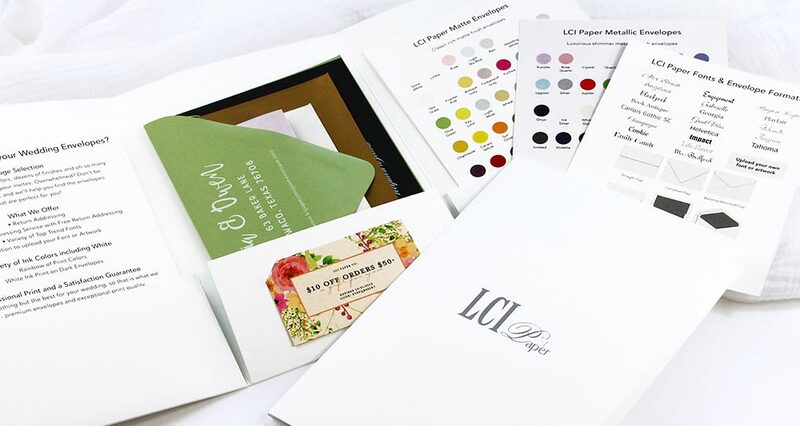 *LCI prints customer supplied artwork on cards only. No invitation design services are offered. 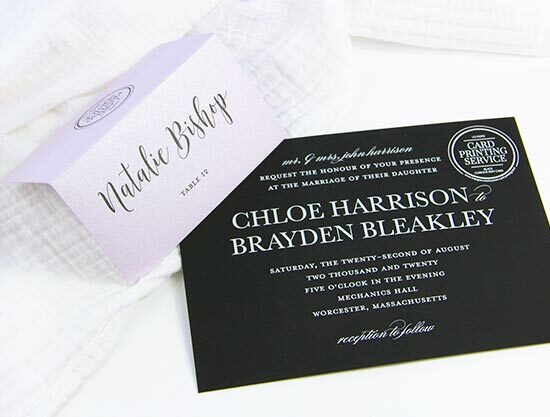 Since this sampler includes only a small selection of what we offer, you'll find insert cards detailing our full selection of services, envelopes and fonts. 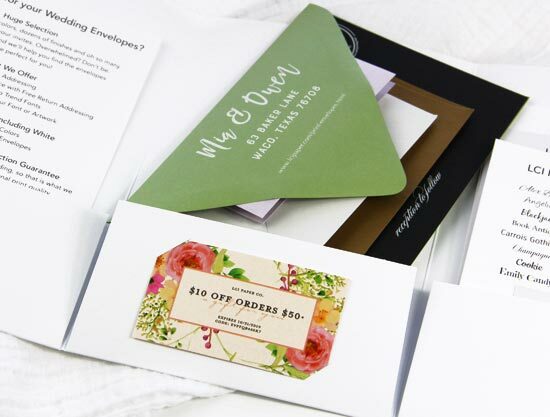 Front and center in your sample pack you'll find a coupon for your printed envelopes order. The coupon code is unique, so don't lose this card!